We believe in the True God ­ the Eternally Self-Existent, “I AM”, the Creator of heaven and earth and Redeemer of mankind manifested in three persons; Almighty Father, Divine Son and Holy Ghost. We believe in the Bible as the inspired, infallible Word of God, inerrant in the original autographs and the only rule of faith, guide for practice and indisputable and ultimate authority of the Revelation of God, His Will and His Way. We believe in the deity of Jesus Christ, the incarnation of the Father, born of a virgin, very God of every God for, and by whom all things were created. We believe in the substitutionary atonement of the Lord Jesus Christ, that He, by the grace of God tasted death for every man and that all must be born again through faith in Him or are forever lost. Redemption is accomplished by the cross and blood of our Lord. Jesus Christ, by grace through faith, believing in the heart that God raised Him from the dead. Salvation is by Jesus Christ and none other for God has highly exalted Him and given a name, which is above every name, that at the name of Jesus every knee should bow, of those in heaven, earth and those under the earth. We further believe that every tongue should confess that Jesus Christ is Lord, to the Glory of God the Father. We believe in the physical resurrection of the Lord Jesus Christ and that He ascended bodily into the heaven and is now at the right hand of the Father as our Mediator, High Priest and Advocate. We believe in water baptism and Holy Communion ­ The Lord’s Supper as the ordinances of the church to be observed as public declaration of salvation through Jesus Christ and the commemoration of His death, burial and resurrection in victory over satan, death, hell and the grave. We believe in the personal, visible, imminent return of Jesus Christ both for His Saints and with His Saints in reign to victory. We believe in the authority of the believer over the enemy satan and the victory to be gained by the exercise of that authority in the areas of deliverance, healing and holiness. We believe in the personality and reality of satan as the enemy of the Kingdom of God, Saints of God and of the Lord; and in his ultimate defeat by the Lord Jesus Christ and potential defeat in the lives of spirit filled believers clothed in the Armor of God. We believe in the autonomy of the local church as an independent entity with regard to matters of government, polity operation and discipline. 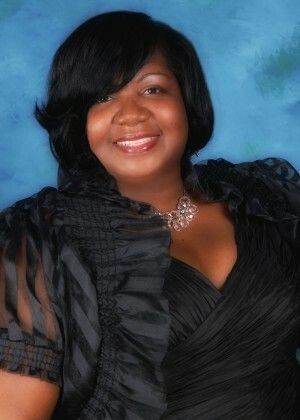 Mrs. Janice Hudson is First Lady at Harrison Street Missionary Baptist Church in Paducah, Kentucky. Sister Hudson has been serving in ministry most of her life. Prior to coming to Paducah she was Co-director of the Women’s Ministry at Morning Star Baptist Church in Kankakee, Illinois, a member of the adult choir and taught New Membership classes. She was an Intercessor, as well as, intake Commitment Coach. At Harrison Street Sister Hudson continues to work out her soul salvation. She has served as Co-director of The Women’s Ministry, she sings in the adult choir and praise team, is a Sunday School teacher and she is an Intercessor and a Commitment Coach. She is active with the Marriage Ministry and a mentor to many of the young ladies at Harrison Street, as well as, Murray State University. Sister Hudson is also very active with her sorority, Alpha Kappa Alpha Sorority, Inc. Sister Hudson loves to help women reach their full potential in God. James Hudson, a native of Kankakee, Illinois, has served as the Minister of Music, Sunday School Superintendent and teacher, Director of Christian Education, and Assistant Pastor at Morning Star Missionary Baptist Church in Kankakee, Illinois. From 1979 until 2004, he worked in the Kankakee School District. He held positions of high school english teacher, director of Annual Black History Program, Principal, Director of Professional Development, grant writer, and hearing officer. Upon completion of a Bachelor of Arts from Northern Illinois University, Master of Science from Illinois State University, and a Master of Education from Governor’s State University, Hudson continued to seek the will of God for his life. It was not until Pastor Hudson accepted his assignment at the Harrison Street Missionary Baptist Church in Paducah, Kentucky that he truly believed he was in the center of God’s will. Pastor Hudson has completed his Doctorate of Ministry Programs from the Lutheran School of Theology at Chicago. Since the beginning of his tenure, Harrison Street has been actively engaged in “A Spirit of Renewal.” He as overseen the complete renovation of the church and offices and increased the annual budget by more than 50 percent. Now, he is eager to bring into fruition the vision God has for this ministry. 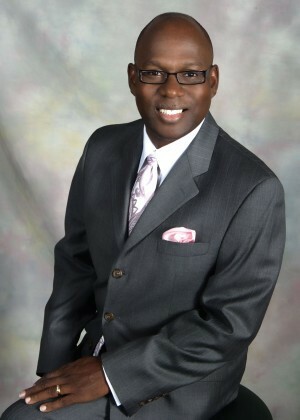 Equipping the saints of God for work in ministry has been a passion for Pastor Hudson. He has led intense studies on such classes as: Stewardship, Flesh and Spirit, Spiritual Gifts, Forgiveness, Worship, Baptism, When Godly People do Ungodly Things, Ungodly Soul Ties, and Healing for Damaged Emotions. Pastor Hudson is adamant about ministering holistically to the children. Fourth Sunday worship services are tailored directly to connect the interest of the youth and children, especially the sermons. In 1988, James Hudson married the love of his life, the former, Janice Olevia Parks of Grenada Mississippi. They have been blessed with three wonderful sons, Phillip, Ryan, and Troy; two grandchildren, Sharras and Carter; but are spiritual mentors to many.